Do you really have a website that creates a buzz and makes people sit up and take notice? If not then it might be the reason why your online sales are not growing and your business is not going places you want. There are millions of websites on the internet, but there are very few that you really remember and want to visit again, whether it is for business or entertainment. Your website should be powerful enough to make others notice and remember it, not only for themselves but also for recommending others. However, this is only possible with strategic planning, informative content and strong visuals that make their place in the minds of people who visit your page. Most people do not really know how to properly plan their site, and this is the reason why their websites fail to make an impact on the users. In this era of digital marketing service providers and consultants, getting professional advice is no longer a problem. If you are looking forward to getting a dynamic and interactive website designed for your business, all you have to do is contact a digital marketing agency and discuss your ideas and concepts on what you want and they will make it happen for you. There are a number of digital marketing companies that know the right approach to planning a great website that really attracts visitors. All you have to do is work closely with them and address the following questions to come up with a website that really creates a buzz and makes people notice it. The first thing to discuss with your digital marketing agency is the technique for targeting your audience and generating more visitors. Should it be done through Search Engine Optimization, Pay-Per-Click advertising, social media or PR? This step is crucial as it answers many questions regarding your site and its visibility to the audience. It is also recommended that you determine which marketing technique works best for you by calculating the lowest cost-per-acquisition; that is how much you spend on getting a customer. How will you keep visitors engaged? After coming to the site, visitors will need to know what they should do next. Do they need to sign in, should they click on a link to get more information, or just browse through the home page? It is necessary to determine how you will keep visitors engaged and coming back for more. You cannot provide everything for everyone so do not try to include bits of everything in the site as it will lose its meaning and visitors will not be able to make sense of what you are actually offering. The site should have a clear layout in order to effectively direct visitors to where they need to go. Putting too much information in one place will not only crowd it, but make it difficult to navigate, and you will lose customers. Focus on key features that will attract visitors and provide them valuable information. How will you urge visitors to come back for more? Digital marketing is all about innovative and original ways of doing things. You can make use of digital marketing service providers to ensure that you keep visitors coming back for more and using your services and products. Try to answer the questions before they are asked by providing the right information at the right place. Have your products and services located easily so that the visitors know they are in the right place and can access those products and services right away and know where to get them when they need them the next time. 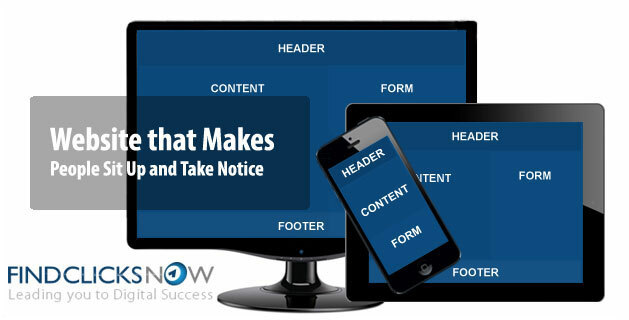 Clear, short and to-the-point messages work great and continue to bring visitors back for more. Creating a website that looks beautiful and attracts visitors is great. However, when it comes to business, it is essential to have a website that makes people really sit up, take notice and come back again for the services and products you offer. The best way to achieve this goal is by working with a digital marketing consultant. A professional consultant will focus on your business targets and come up with a website that answers all the questions, provides key services and keeps visitors engaged with incentives to return, convert and invite their contacts.